It’s been a while since I last updated this blog. Various life complications, including a car crash and resulting injuries, are to blame. I will, however, attempt to keep up to date from this point forward. What’s the cure for the common cold? Although there is none, most medical professionals recommend treating a cold with plenty of bed rest to preserve your strength, along with eating lots of hot soup and drinking lots of hot liquids to loosen congestion. One of the most healthful liquids to drink, especially when you have a cold, is hot tea. Even better than plain tea is what my mother used to give us when we were sick: a hot toddy. This comprised tea mixed with lemon (also eases congestion), honey (soothes a scratchy throat), and a few drops of whiskey (to help us sleep). She usually gave us the toddy accompanied by toast spread with more honey, so it was almost like having a party when we suffered from colds, and that in itself made us feel better. As with most things we grew up with, I still find this a very comforting, not to mention healing, combination. Although I prefer my “sick” toddy made with a hearty black tea, it really doesn’t matter what type of tea you choose so long as it’s hot enough to steam open your nasal passages and sweet enough to make it seem like a treat rather than a remedy! For example, you can try one of my favourite “non-sick” toddy combinations: Japan Sencha green tea mixed with Midori – a melon-flavoured liqueur also from Japan. Experiment with various types of alcohol. A bit of cognac in your tea gives it a touch of elegance, but a splash of moonshine, if you are so inclined, will have the same therapeutic effect. 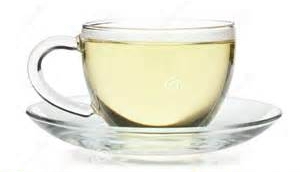 If you don’t consume alcohol, choose any tea, perhaps a flavoured tea, then stir in plenty of lemon juice and honey. I’m sure you’ll feel better in no time! All content Copyright 2016 JP Badarau; all rights reserved.